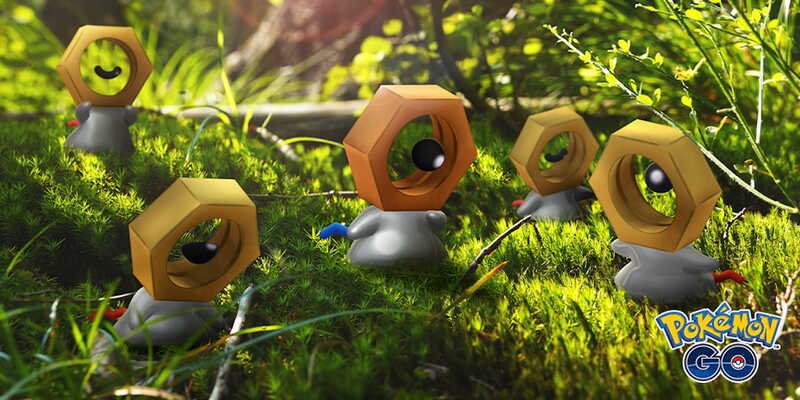 The Pokémon Company International, Niantic and Nintendo have revealed that Shiny Meltan has started spawning in Pokémon GO for a limited time. Once you have caught this rare Mythical Pokémon you can transfer it to either Pokémon Let’s Go, Pikachu! or Pokémon Let’s Go, Eevee!. However, the catch is that, as with Meltan, you must use a Mystery Box to have the chance to encounter Shiny Meltan. For those that may not know, the Mystery Box can only be obtained when linking Pokémon GO with Pokémon Let’s Go, Pikachu! or Pokémon: Let’s Go, Eevee!. You will have the chance to encounter Shiny Meltan if you use your Mystery Box from now until Monday 4th March 2019, with the time that you have to wait before you can open it again reduced to three days for this special event. Pokémon Let’s Go, Pikachu! and Pokémon Let’s Go, Eevee! are now available exclusively for Nintendo Switch.